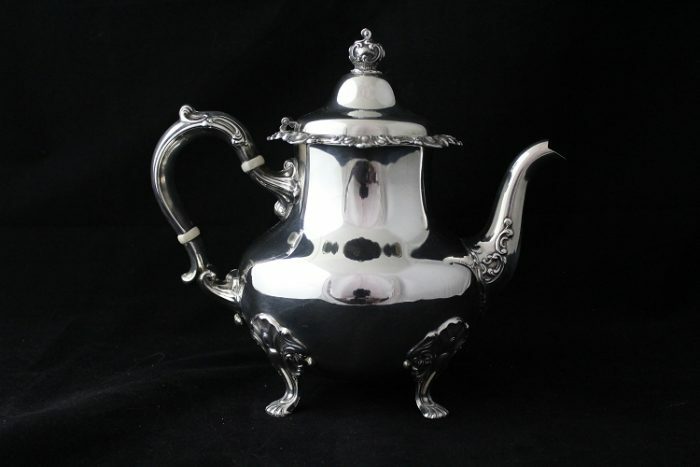 This is a Gorham sterling silver tea pot that has a reinforced handle. It can hold 2 3/8 pints and stands on four feet. The item has no dents or major scratches.